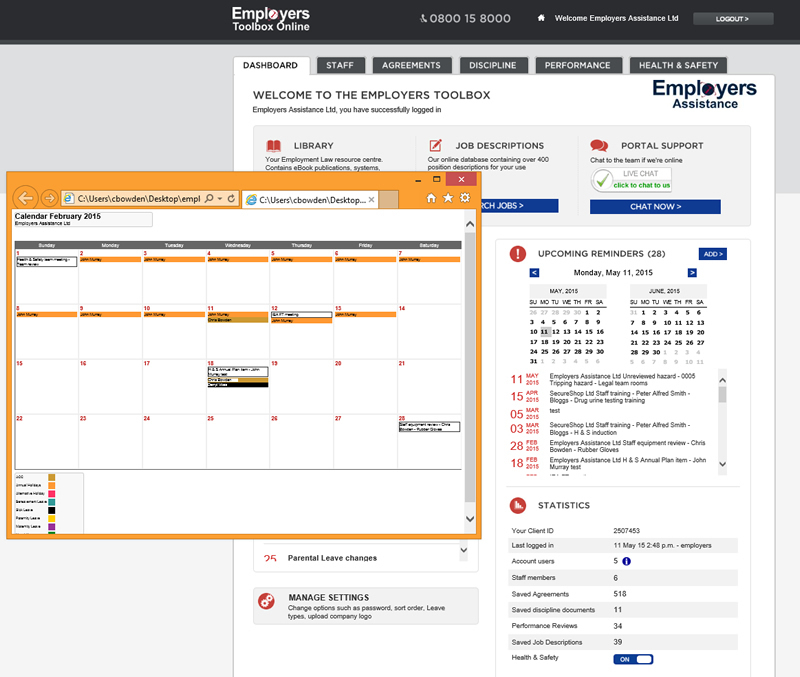 The Employers Toolbox online has a new feature - the Company Calendar report. The system currently provides alerts (emails and Dashboard list) for various key actions for example; performance reviews, Health & Safety actions, hazard inspections and training. Staff leave and custom alerts can also be added. There is now a new report which compiles all these events and reports them in a calendar format. From the Dashboard, Manage Settings, then Reports you can select to run this report for any branch you have loaded. The reports are available onscreen or downloadable and printable. The Employers Toolbox is complimentary to Employers Support Package members or is available as a stand alone subscription.